You know that classic adage of ‘airing your dirty laundry in public’ that you’ve heard in a dozen cheesy films but never heard anybody say in reality? For all that it seems endlessly redundant, it’s one that some could still readily apply to music. Indeed, we’re all accustomed to receiving recorded music in its definitive form, never really hearing the sweat and tears that were invested until they’re tacked onto the 20th anniversary edition. 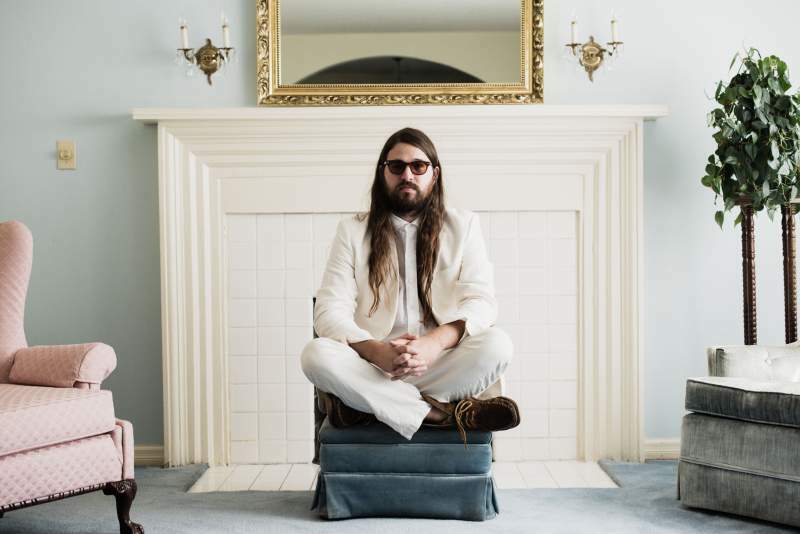 Whilst artists traditionally ‘road-test’ new songs in-between playing the hits, Matthew E. White instead has decided to tour his new record before it’s even eating solids. Although the more cynically-inclined would rush to dismiss his system of handing the audience a setlist with a grading system as a cheeky way of getting some free QC, it speaks volumes about White’s commitment to his audience. Accompanied sparingly by a drum machine, guitarist Alan Parker (an absolute force of nature) and an untreated electric piano, White hurled his new compositions out into the open with confidence and brevity. The songs themselves are a brilliant evolution on the intricate but uncluttered soul-jazz-hip-hop that allowed his past two records to be so refreshing and engaging, and even if some were sold to the audience as half-baked ideas, they all came across as raw and concise, rarely submitting to self-indulgence or pretentiousness. The result was the kind of intimate atmosphere that an artist rarely grants their audience. Even the smallest gestures, such as bringing audience members up to the stage to provide background vocals, made you feel less like a mere spectator and more of a participant. I can’t leave out opener Andy Jenkins, (whose debut record is being released on Spacebomb in 2018); a brilliant introduction, with songs that evolved on the finest aspects of singer-songwriters from the 60s and 70s with a freshness and wit that was refreshingly assured. Although the gig eventually fell victim to Think Tank?’s ‘strict disco curfew’ (which gave you the feeling that everything was cut short far too early), it was still an innovative show that subverted tradition with elegance and grace.